These are not your average sticky date puddings. They are super moist with a lovely delicate crumb and a decadent, rich, gingerbread flavour. All of which you’d expect from a great sticky date pudding. Unlike most sticky date puddings, however, these are dairy and gluten free and contain no refined sugar. Instead, ground almonds replace the flour, coconut oil replaces the butter and they’re sweetened entirely by dates and blackstrap molasses. Dates and molasses are both unrefined sweeteners. Dates are a fantastic whole food sweetener full of vitamins, minerals and fibre while blackstrap molasses is the natural bi-product leftover from sugar cane crushing and also contains a number of minerals such as calcium, magnesium and iron. These two sweeteners are still forms of sugar but because they are unrefined they retain their nutritional value making them a much better choice than refined sugars that contain no nutritional value. 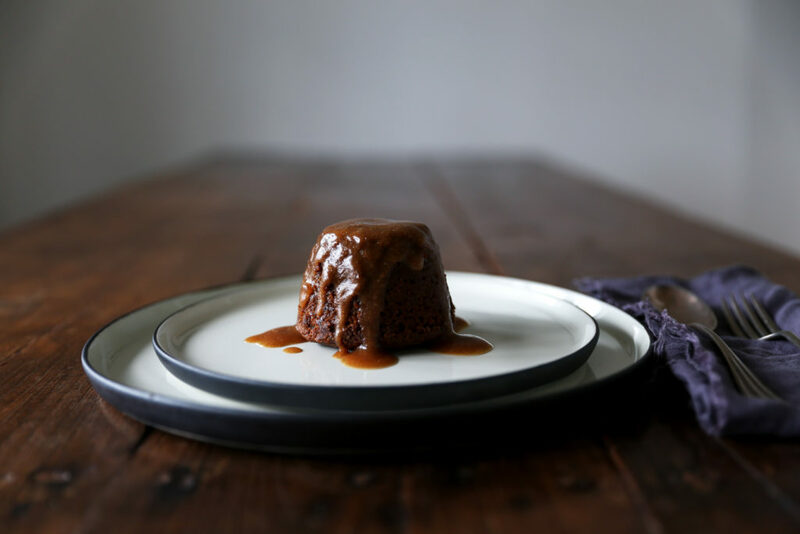 Lastly the salted caramel sauce is clever combination of dates, pure maple syrup, coconut milk and salt – all whipped up into a creamy sauce which doesn’t require any cooking. Simply drizzle the sauce over hot sticky date puddings and serve! Place the dates in a heat proof bowl, sprinkle with baking soda and pour over the boiling water. Set aside to allow the dates to soften. Preheat the oven to 150ºC fan bake. 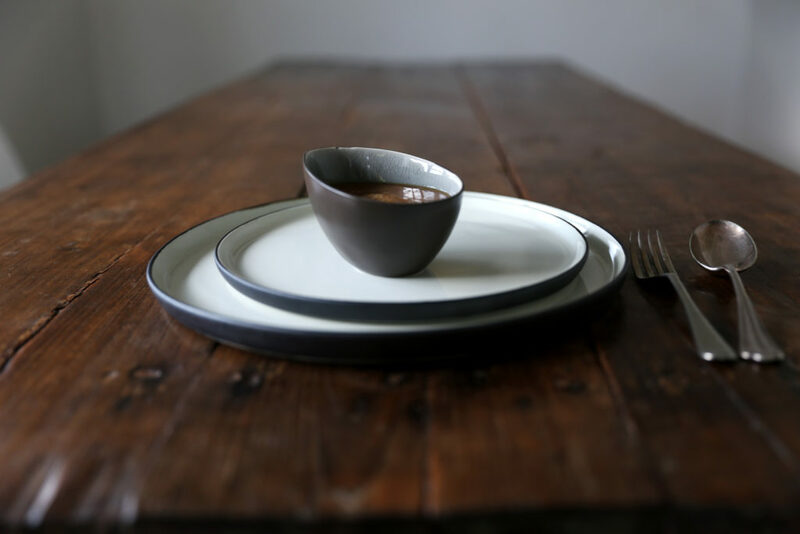 Prepare 8 metal pudding moulds by greasing the sides, dusting with flour of your choice (corn flour or rice flour work well, otherwise use cocoa for paleo) and place a small disc of baking paper in the bottom of each. Alternatively you can simply grease a standard non-stick muffin pan and place a small disc of baking paper in the bottom of each hole. Place the coconut oil, molasses, salt and vanilla into a bowl and beat until well combined. Add the eggs one at a time beating well after each addition. Lastly fold in the ground almonds, baking powder and spices. Pour the dates and their soaking water into a blender or food processor and blend briefly. You still want to have some chunks of dates but the liquid should turn a pale creamy brown. Pour the date mixture into the pudding batter and fold in until well combined. 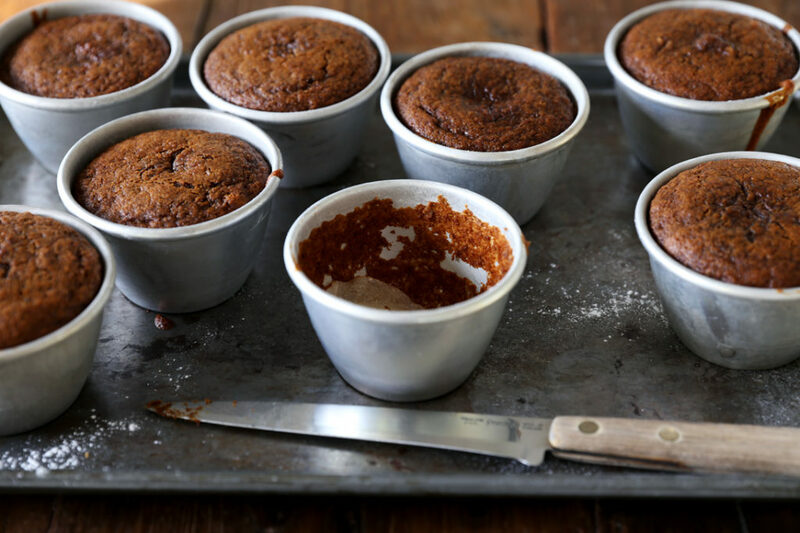 Divide the batter evenly between the prepared pudding moulds or muffin holes and place in the centre of oven to bake for approximately 40 minutes. The puddings are ready when their tops are firm and a knife inserted into their centre comes out clean. Remove the puddings from the oven and allow to cool a little before removing from their moulds. 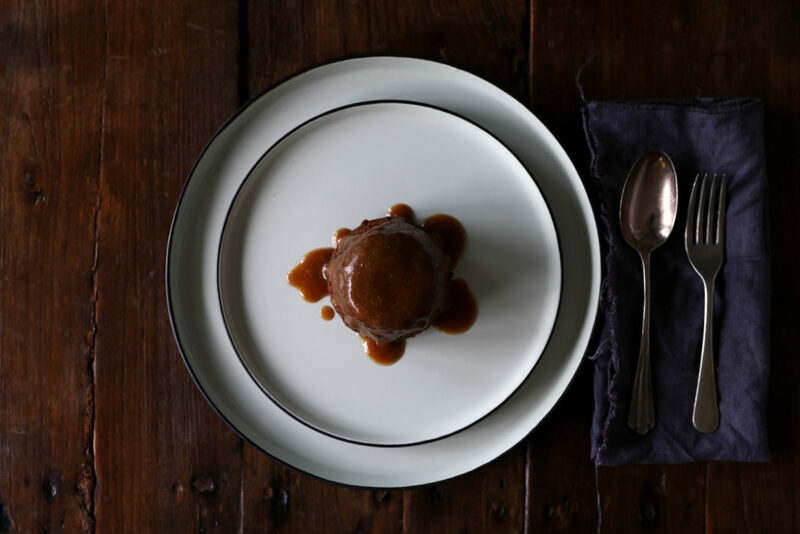 To serve, place a warm pudding in the centre of a serving plate and drizzle with fresh salted caramel sauce. Place all the ingredients into a high speed blender or food processor and blend until smooth. Store any leftovers in the fridge. Hi! I love your site and the recipes look awesome! One comment – you include both Imperial (e.g. 1/2 cup) and Metric (e.g. 100 grams) in your recipes. I think it may be helpful to include both measures in each ingredient – e.g. 1/2 cup (250 ml) – to make it easier for those in either system?